The path to wilderness goes through Congress. The trail may not be smooth. Looking at past wilderness efforts can offer some idea of the political gauntlet that the forthcoming set of wilderness recommendations could have to navigate in order to win passage. 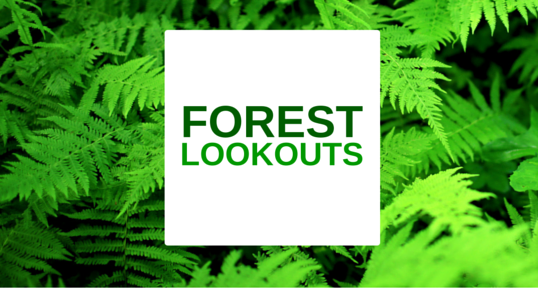 Click to view all stories in our Forest Lookouts series about the remanagement plans for Pisgah and Nantahala national forests. Those words came during his unsuccessful bid to pass legislation to assign federal wilderness designation — the highest level of land protection in the U.S. — to the Harper Creek and Lost Cove wilderness study areas in the Pisgah National Forest below the summit of Grandfather Mountain. Identical to two previous attempts at legislation in 1990 and 1991, the bill flew through the House, but fizzled before reaching a vote in the Senate. Ballenger’s proposal was as close as any acreage have come in North Carolina to wilderness designation since 1984 when five areas totaling 68,700 acres were designated as wilderness and 25,816 acres were established as wilderness study areas (WSA), include Lost Cove and Harper Creek, by the North Carolina Wilderness Act of 1984. While WSAs are required to be managed as wilderness, it would take additional legislation to make them wilderness or remove the WSA designation. Discussions of wilderness protection have typically been blustery in the North Carolina mountains, but a confluence of local anti-wilderness sentiment and conservative national politics may sway management of the state’s wildest places in the near future. Although environmental policy issues are often partisan, the politics of wilderness designation haven’t always been drawn along party lines. Ballenger, who died in 2015, was a conservative Republican who was an ally of conservationists, spearheading the effort to designate Wilson Creek as a component of the National Wild and Scenic River system in 2000. And the last additions to wilderness in North Carolina were signed into law by President Ronald Reagan with support from conservative U.S. Senator Jesse Helms. Presently, there is just one wilderness proposal in Congress. If passed, the proposed wilderness legislation would designate nearly 20,000 acres of wilderness in the Cherokee National Forest in Tennessee. That bill was written by the state’s two U.S. senators, Lamar Alexander and Bob Corker, both Republicans. However, in North Carolina, the politics of wilderness may be slightly less cordial. Anti-wilderness resolutions passed in 12 counties, while non-binding, have captured the attention of U.S. Rep. Mark Meadows. The Forest Service released four proposed alternatives in July for the future of wilderness acreage. Among the alternatives is the status quo, which would maintain the wilderness recommendations of the current plan formed in 1994. Another possible alternative would recommend more than 60,000 acres for wilderness. While the Forest Service’s recommendation is meaningful, Brent Martin of the Wilderness Society said the next step is support from Congress. “The legislation can came from either chamber, but generally they won’t pass without the support of the local Congressman,” said Martin. The backing would have to come from Meadows if he retains his seat in the election this November. Since the redistricting of Congress in 2010, virtually all of the current and potential wilderness additions outlined by the Forest Service this past summer are within N.C.’s 11th Congressional district. In a statement, Meadows told CPP that it would be premature to weigh in on any proposed legislation. “My continued emphasis would be on active forest management and greater access for recreational use,” Meadows said. Meadows’ Democratic opponent in this year’s election, Rick Bryson of Swain County, acknowledged that in Western North Carolina wilderness designation is a tricky topic. He said that adding wilderness is the strongest choice from an “environmental standpoint,” but he stopped short of supporting additions to the wilderness base. Indeed, with tensions at a boil in North Carolina surrounding wilderness, Wasson of Appalachian Voices said that gaining Meadows’ support of wilderness legislation, while not impossible, doesn’t seem likely, at least for now. On Aug. 30, Meadows organized a “listening session” with county leaders in Macon County. The National Forests of North Carolina forest supervisor, members of the planning team and district staff were present. The meeting was not open to the public. “I have been actively working with stakeholders to make the most informed decisions on the proposed wilderness plan. Currently, the overwhelming majority of county officials have expressed great concerns with some of the proposed [wilderness] additions to the plans,” said Meadows in a statement. Deputy Supervisor James Melonas of the National Forests in North Carolina said that for any special land designation to move forward, it must first have wide support from National Forest stakeholders and users. “My experience in which there has been successful designation is when you have a broad coalition of various interest groups that are willing to live with or are supportive of the areas,” Melonas said in July. But building consensus around wilderness designation has been slippery in light of the anti-wilderness resolutions passed throughout the region. Just one town, Franklin in Macon County, has passed a resolution supporting additions to wilderness. Still, resolutions aside, Wasson isn’t sure the national political climate and the makeup of Congress is favorable to wilderness. Still, Wasson said the Forest Service’s possible recommendations included in the future forest plan will be meaningful and that working towards support now, worthwhile. Sportsmen have been outspoken critics of wilderness designation during the forest plan revision process. David Whitmire of Transylvania County and the chair of the Fish and Wildlife Conservation Council, an assembly of Western North Carolina hunters, said that they do not support additional wilderness acreage that limit active management for the benefit of wildlife habitat. However, he added that sportsmen would support wilderness designation if there was local buy-in. But Martin of the Wilderness Society is concerned that the county resolutions have driven a wedge in the planning process. 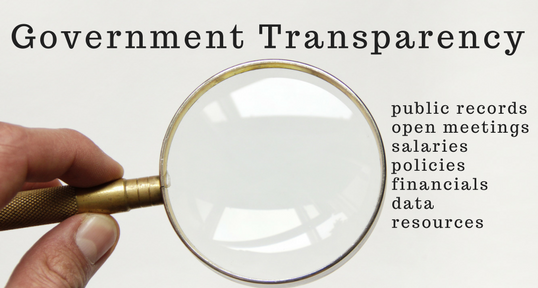 “It’s unfortunate that county officials have passed these resolutions without due public process, and with the support of only a very vocal handful of special interests. 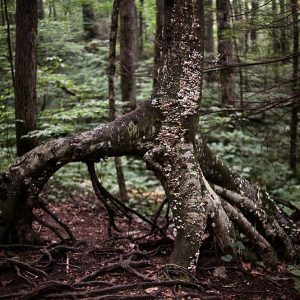 North Carolina’s National Forests belong to everyone, and our local officials should support an open process,” Martin said. Whitmire said that if people are opposed to the resolution passed in his home county, they have been silent. “I can’t speak for other counties, but there has been no pushback whatsoever from people here,” he said. The Forest Service has scheduled open houses at all six Nantahala and Pisgah district offices in September and October. These drop-by events will allow members of the public to visit their local district for informal discussions on the developing forest plan as well as other activities happening at the district.